Honeywood Retail Park was completed in June 2015, at Whitecliffs Business Park, Dover, Kent, opposite Tesco Extra and Homebase. Detailed planning permission was granted for the 42,200 sq ft in 2014 and B&M Retail Ltd, Pets at Home, Bensons for Beds (Steinhoff) and KFC have taken occupation. Prior to works commencing on site, a significant ecology programme was undertaken, including the construction of a new badger sett and the relocation of over 160 common lizards to a new home 8 miles away! Pre-funded by Christian Vision (IM Properties). 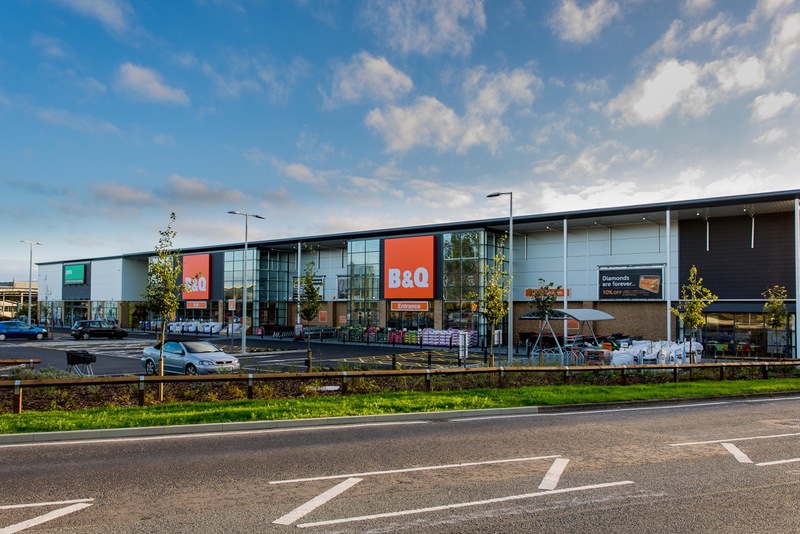 The 55,000 sq ft (plus garden centre) Mid Sussex Retail Park is occupied by B&Q and Pets at Home and located on the A273 Jane Murray Way opposite Tesco, ot the south of Burgess Hill. Highways improvements were an important part of the development, including the provision of a new access point from the A273. Acquisition of this 3.7 acre site involved the merger of the freehold and long leasehold interests. Consent was granted at application. Pre-funded by Aberdeen Asset Management. The former Sultans Turkish Delight factory site was acquired by L3P and following the grant of planning permission by Breckland District Council, work commenced in July 2010 on a 26,500 sq ft store for Wickes, together with a 10,000 sq ft external sales area. The project, on London Road, close to the A11 bypass and the Thetford Forest Retail Park, was completed in 2011. Investment acquired by the Aegon Property Fund. DFS Maidstone was the first ever L3P project; having bought the land freehold from Kent Garden Centre in 1997, consent was granted for the 20,000 sq ft store which was sold following completion to DFS Furniture plc. The site fronts the A20 London Road close to J5 of the M20 motorway. In 2008, L3P acquired the freehold interest of the former M5 Motorway Services lorry park on Moor Lane from Moto Hospitality. 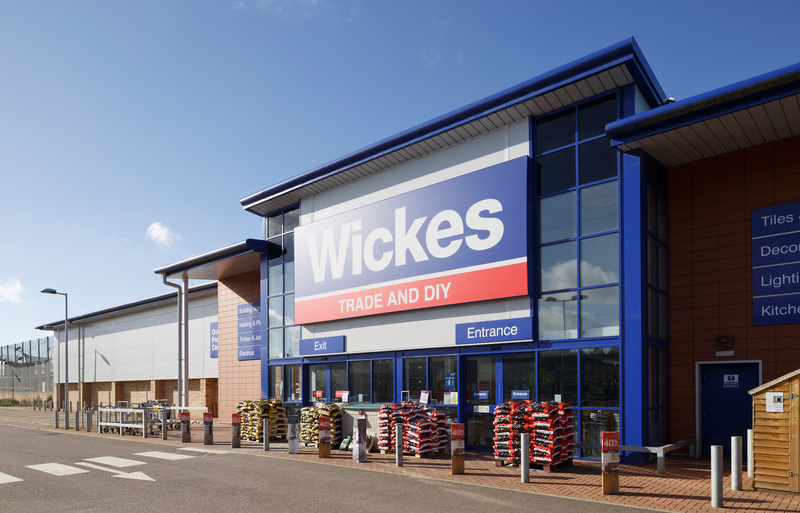 Following the granting of permission by Exeter City Council, the site was redeveloped for a 31,500 sq ft store for Wickes Building Supplies, who relocated from older premises in the city. The site is highly visible from the M5 motorway and close to several other major retailers. Investment acquired by La Salle/Halifax Pension Fund. L3P purchased the freehold interest of this site, which is located opposite the North Quay Retail Park (B&Q etc) on Peto Way, from Associated British Ports for the development of a 29,100 sq ft stand-alone retail unit, with external project centre, for Wickes Building Supplies Ltd. Permission was granted at application by Waveney District Council. Investment acquired by Smiths Industries Pension Fund. Originally developed for Focus DIY, Halfords and Carpetright, the largest unit was later assigned to Homebase. Totalling 42,000 sq ft, the 3 acre Penda Retail Park was formerly occupied by Furrows Ford main dealer and located on Salop Road, close to the junction with the A5 bypass and within walking distance of the town centre. Pre-funded by Merchant Place Securities. The 1.4 acre site sits central to three major retail developments, the 475,000 sq ft Westwood Cross Shopping Centre (M&S, Debenhams etc) and two Hammerson-owned retail parks. L3P acquired the site unconditionally and were granted consent at application, pre-let the 16,000 sq ft development to DFS Furniture plc and sold the completed project to Aberdeen Asset Management. Also originally planned for Great Mills, this was the first new Focus DIY store to open after the merger. The site is close to Waitrose and adjacent to the town centre and was formerly occupied by Sherman Chemicals who relocated to purpose-built premises in the town. The 27,000 sq ft unit is now occupied by Asda. Located on the Fakenham Enterprise Park, close to Morrisons, this 26,000 sq ft unit was the subject of intense planning negotiations! The store is now occupied by B&Q. Now occupied by Waitrose, this 28,000 sq ft unit on Cromer Road was developed on land formerly occupied by Crane Fruehauf. L3P acquired the site from the former East of England Development Authority. Located on Moorgate, opposite Morrisons, L3P acquired this former bus depot for a 23,000 sq ft Focus DIY store, which is now occupied by Family Bargains. Focus DIY originally occupied this 26,500 sq ft store, located on London Road, which is now trading as B&M Retail. The former distribution warehouse site is close to Tesco and the A303. Located adjacent to the A421 bypass, this 26,200 sq ft store built for Focus DIY is now occupied by Aldi and Pets at Home. Just prior to Focus DIY going into Administration, consent was granted for a 26,000 sq ft store in Tetbury, by Cotswold District Council. The store was to have incorporated a number of new environmental and sustainable elements not seen before in a DIY store in the UK at the time.